Architect John Martin and his wife Diane came to the shop with a unique, clear, and well developed idea for their bathroom vanity. Thanks to the basic drawings that John had already developed, we just refined a few details over a short brain-storming session and made quick work of the actual production. 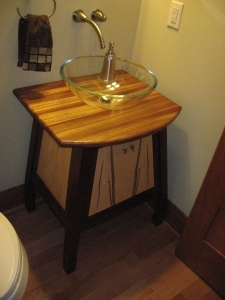 Ultimately, a glass sink basin and faucet were installed. 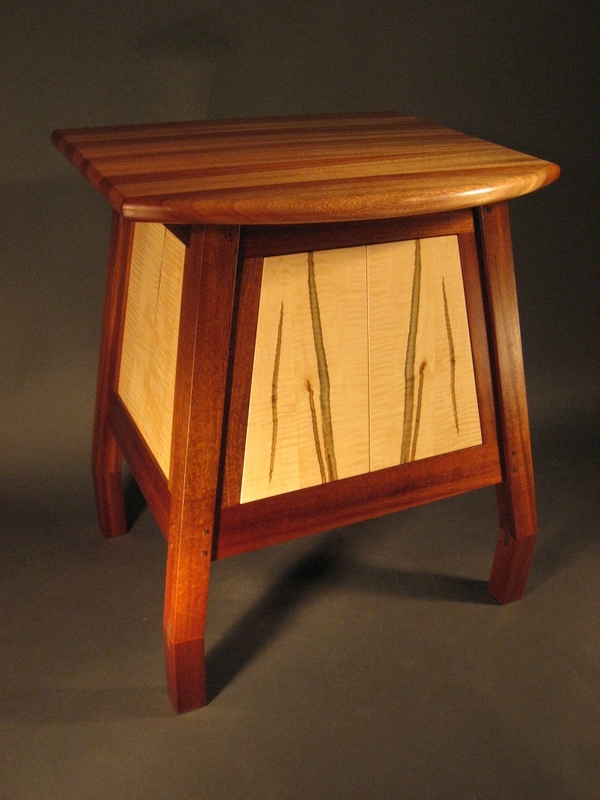 Mahogany and book-matched, curly, ambrosia maple.